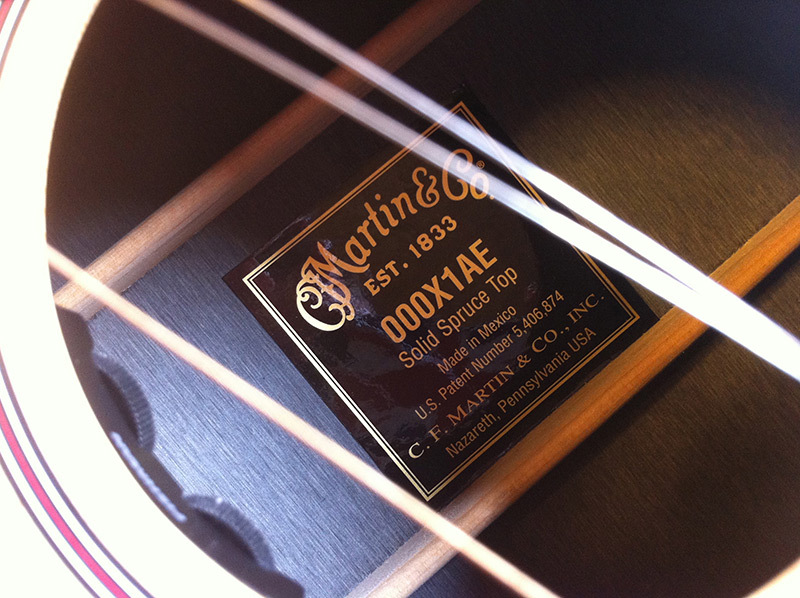 Who would have thought Martin would make a guitar out of recycled paper? Well almost! 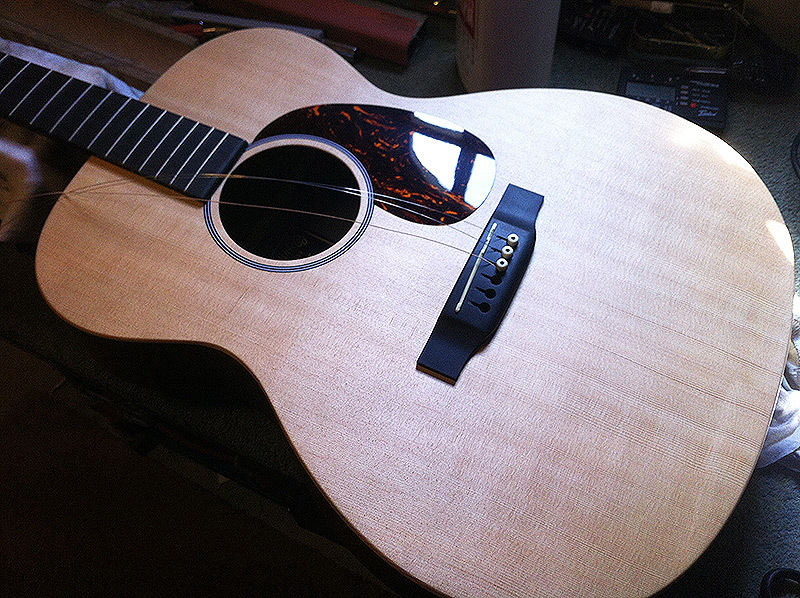 Few small-body guitars are as important or influential as Martin’s long standing 000. Legions of pro players consider it the perfect acoustic – an ideal match of volume, harmonics, comfort, and responsiveness that can deliver musical magic – if you’ve got the cash ! Hardwoods are becoming rarer and rarer. It has been know for a while that Gibson have run out of stock of Ebony. This budget no frills 000X is made with some pretty unique materials. 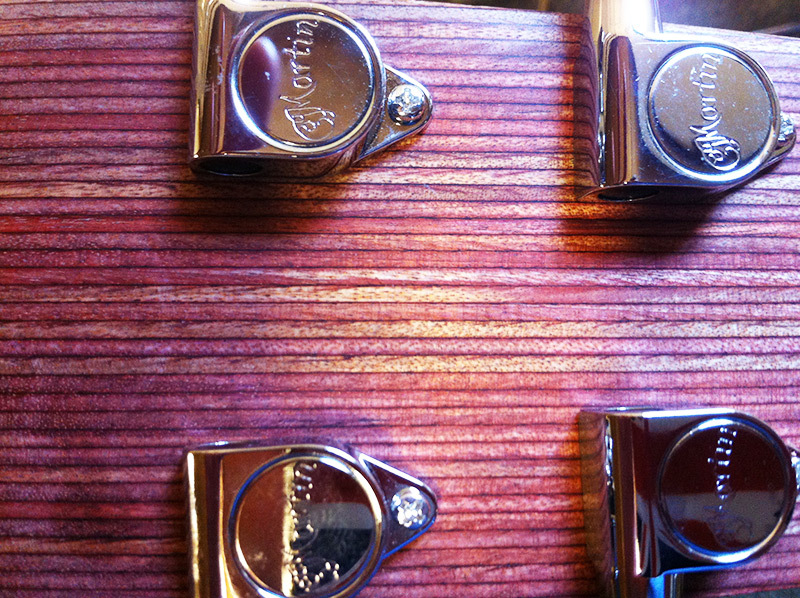 The fingerboard is made of a kitchen counter-top material called Richlite. Richlite is a dense synthetic wood made from recycled paper and formaldehyde. 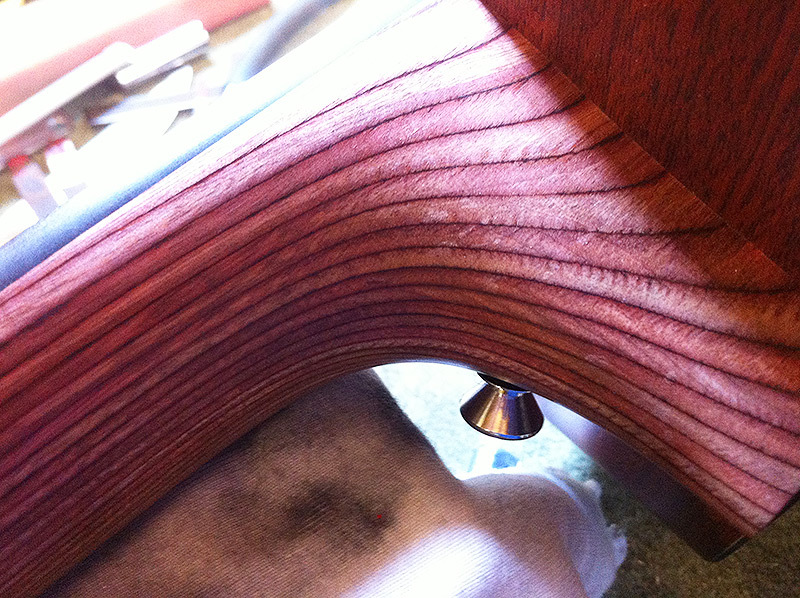 (Yes you can sand it down luthiers). 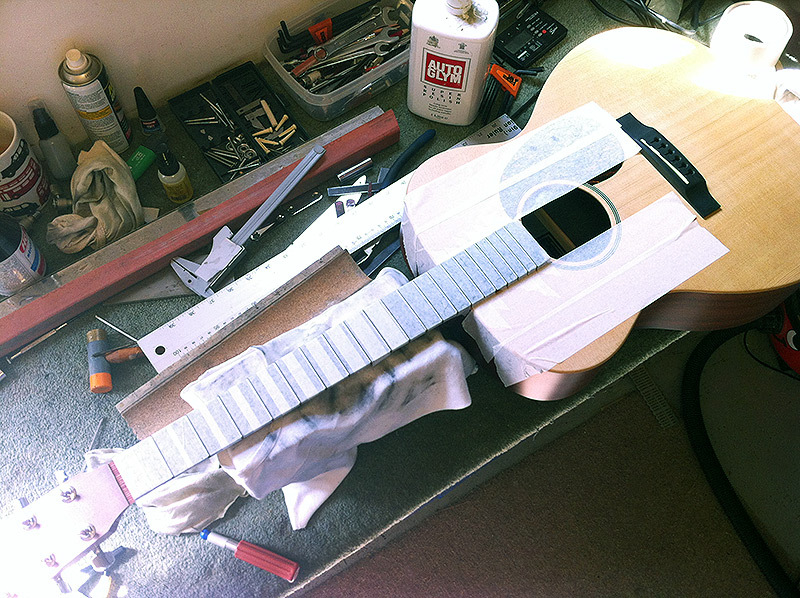 The neck is constructed from a plywood material called ‘Stratabond’. This is a many-layered laminate that looks pretty psychedelic as the grain fans apart at the heel. Shock horror . . . They make them in Mexico. Ay Caramba !! Inside the 000X. 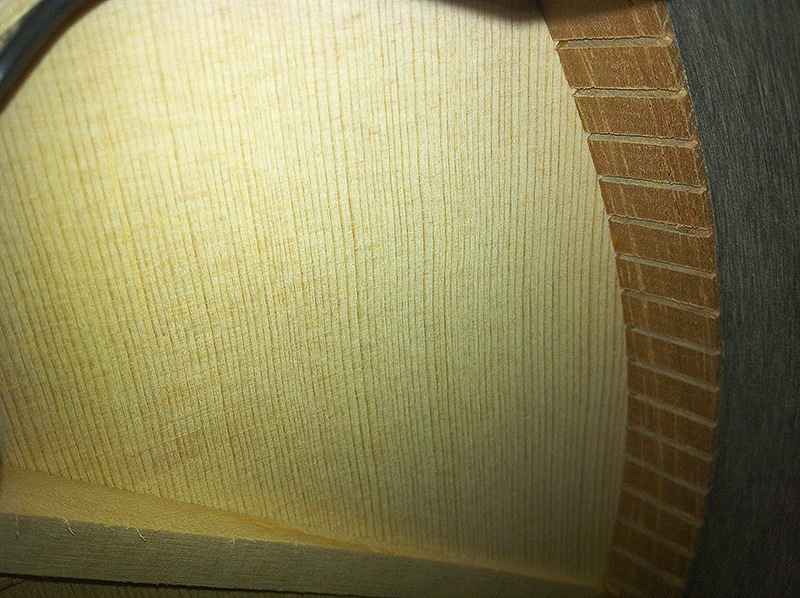 Quite a pretty piece of spruce that. I have to say that despite the strange non-traditional materials used in the construction of this guitar it sounds pretty amazing. It really shines as a finger picker’s guitar. The owner of this pretty little guitar wanted the action as low as possible with zero buzz. 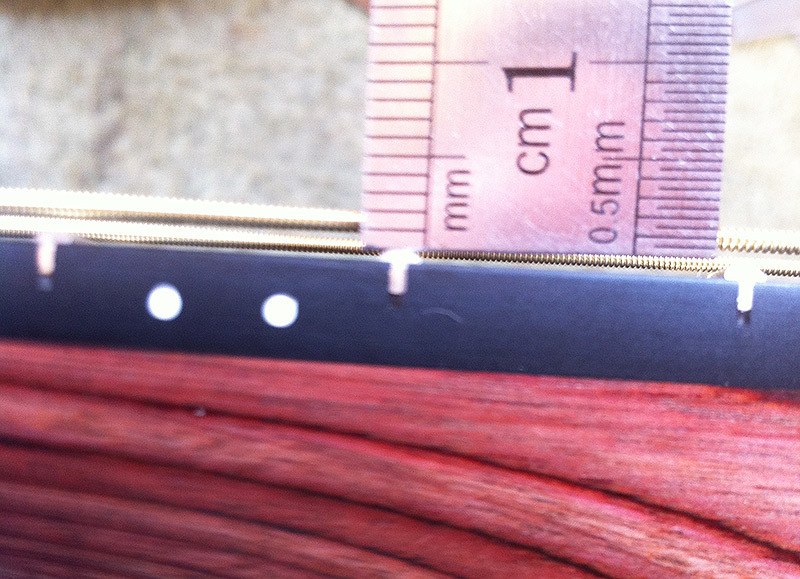 1mm here at the 12th fret. What does yours measure ? 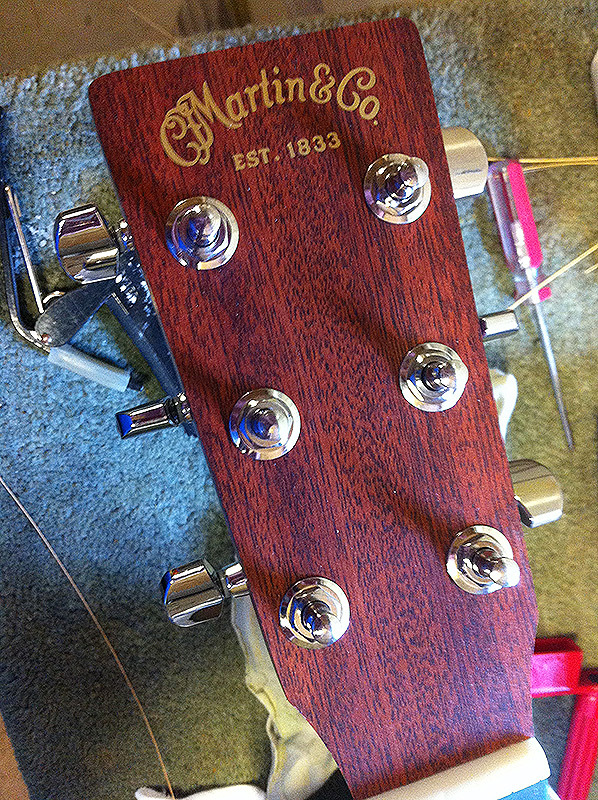 The action was pretty high when it was brought in to me, and the neck was very slightly under-set.